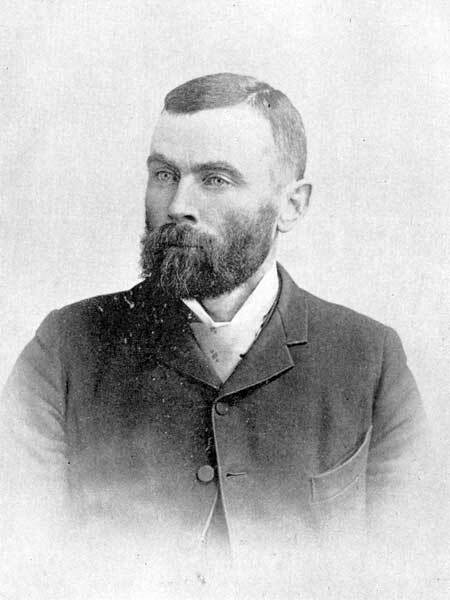 Born in Galway County, Ireland on 7 August 1857, son of John O’Malley and Catharine Robinson, he came to Canada in 1871 and, for three years, was engaged on surveys of Manitoba then worked installing telegraph lines. He farmed for a couple of years in the vicinity of Marquette before moving to the Rock Lake area. In 1880, he was appointed one of the first councilors of the Rural Municipality of Lorne, becoming Reeve in 1885. He was elected to the provincial legislature in 1888, and acclaimed in 1892, but defeated in 1896. He served as president and director of the Lorne Agricultural Society. He served as chief municipal weed inspector in the early days of the inspecting of noxious weeds. He was a regular speaker at the first conventions of the Union of Manitoba Municipalities. On 2 March 1882, he married Sarah Clouston (?-? ), daughter of William Clouston of the Hudson's Bay Company, with whom he had a son and two daughters. He died at his Winnipeg home, 352 Home Street, on 9 October 1938 and was buried in the Headingley Cemetery. Obituary, Winnipeg Tribune, 10 October 1938, page 11. Obituary, Western Municipal News, October 1938, page 277.